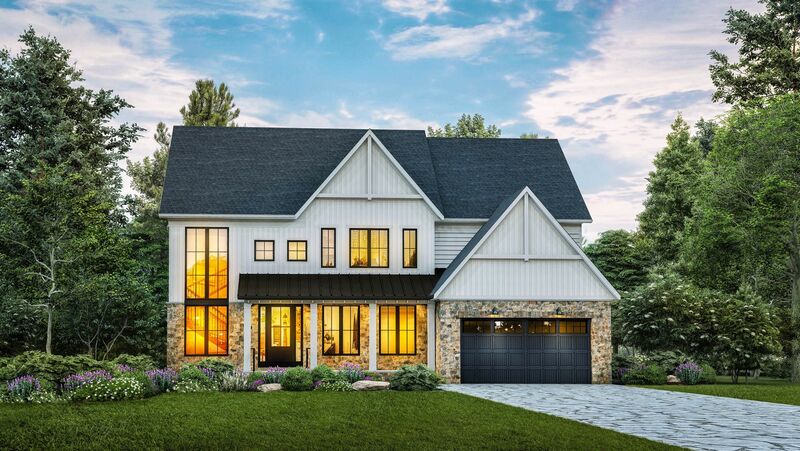 Wormald's all new, single-family home designs enter Frederick County's best selling planned community of Landsdale, bringing a fresh take on he extremely popular farmhouse trend. Signature open floor plans, natural stone, metal roofs, black-framed windows, light woods, beamed ceilings, barn doors, covered porches, patios, with the perfect spaces for multi-generational living. The community boasts a 6,000 square foot American Craftsman-style clubhouse with an eight-lane Olympic-sized pool, zero entry leisure pool, tennis courts, sport court, trails, outdoor amphitheatre, playground, and tot lot. Terrific shopping just minutes up the road at The Villages at Urbana where you'll find a Giant grocery store, restaurants, and plentiful services. Golfers will love the proximity to Whiskey Creek Golf Club.